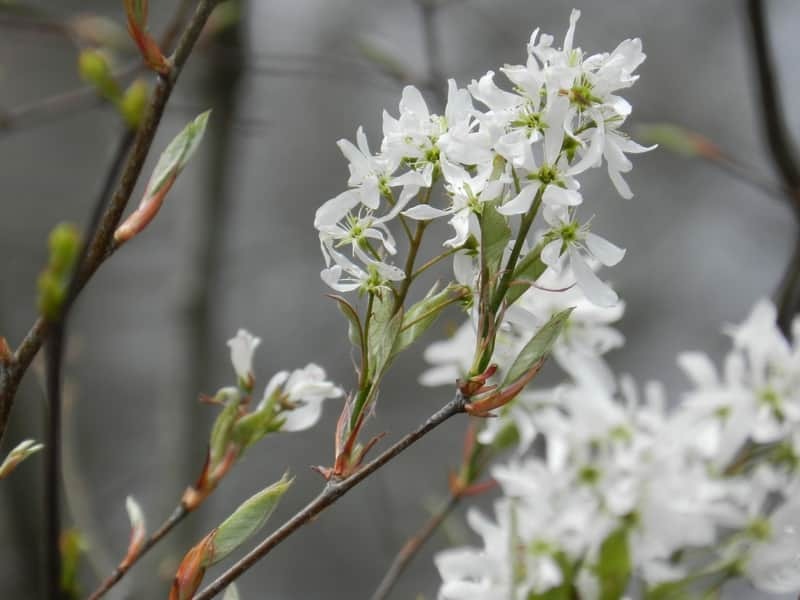 Planting and growing the Serviceberry is relatively easy, as the most that it will demand is regular watering and a good supply of mulch. The tree lasts for many years, and encourages insects into the garden, helping pollinate fruits and difficult flowers. During the summer, it is an attractive addition to any garden. Serviceberries prefer the full sun, although they can adapt to living in areas with a partial shade; choose an area that is protected from winds and other severe climates. Choose a soil that is moist and well-drained. Serviceberry trees can be bought from local garden centers; they will either be potted in containers or wrapped in polyester bags. If the tree is potted, lay it on the soil and roll from side to side to loosen it. Once the pot is loose, the serviceberry tree can be gently eased from the pot. If they are wrapped in a bag, use scissors or shears to remove wire or twine from around the plant, and cut away the plastic-use secateurs to trim away dead or over-large roots. You can still be a gardener even if you have a tiny yard, or no yard at all. Use plants to make small spaces come alive. Even if you have no outdoor space for gardening, it’s possible to grow beautiful plants. Use all your indoor and outdoor spaces. You may think you don’t have room to spare, but you do. When you have a limited amount of space, you might be afraid to do much gardening. You don’t want to clutter up your space or eliminate much-needed room. 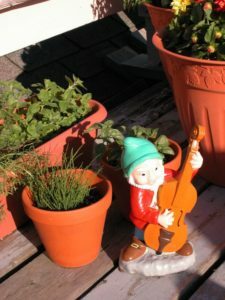 With a few DIY tricks, make your outdoor garden functional as well as beautiful so it will work in those limited areas.